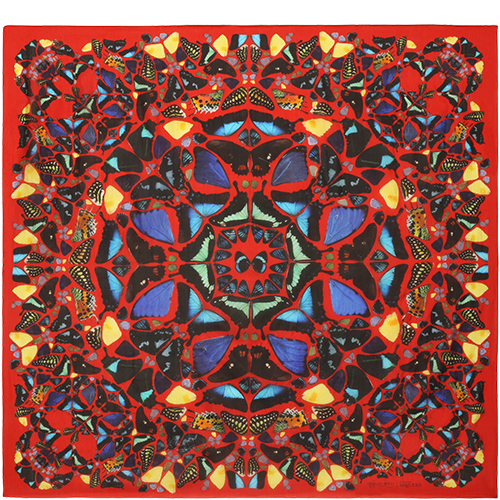 Have you managed to get your hands on one of these exclusive scarfs yet? 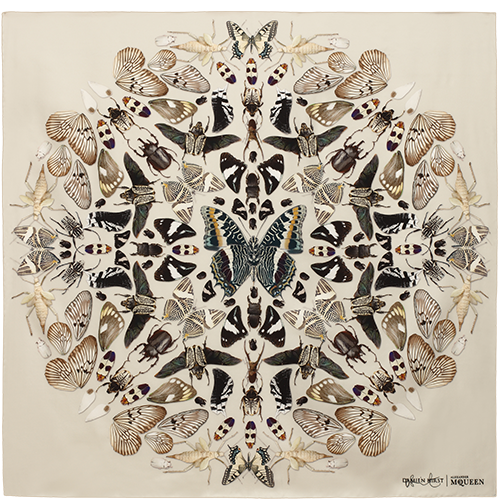 Most stores aren't stocking all 30 designs, and, of the designs they do have, only one or two pieces are available. 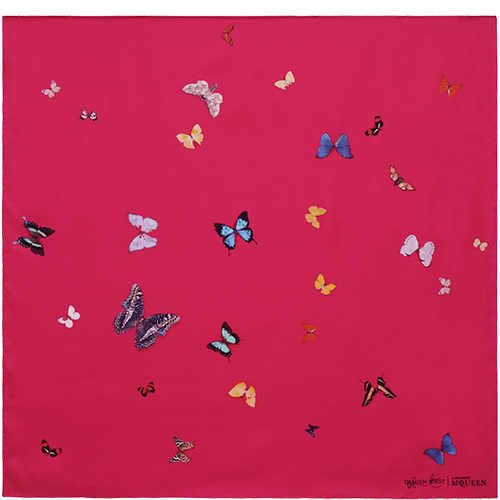 Considering its a fashion art collaboration made in heaven, it's no surprise that a mere week after their launch they are already difficult to come by. 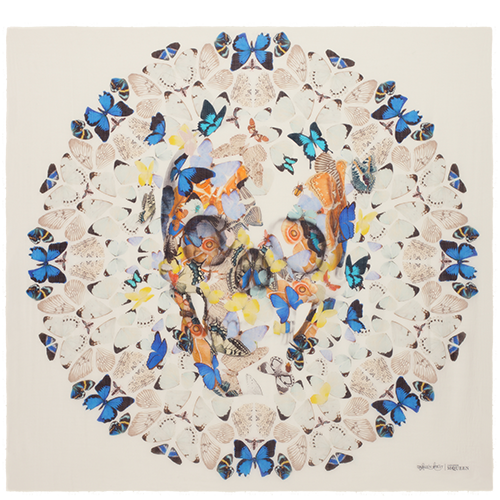 The Alexander McQueen skull scarf was first seen in the SS03 Irere collection and since it launching has become not only a signature accessory of the house, but started the skull trend that is still going strong 10 years later. 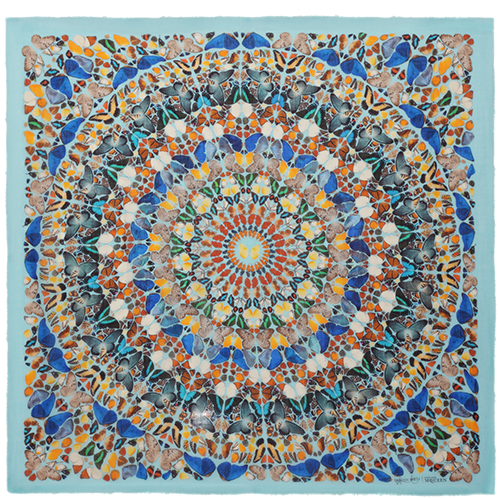 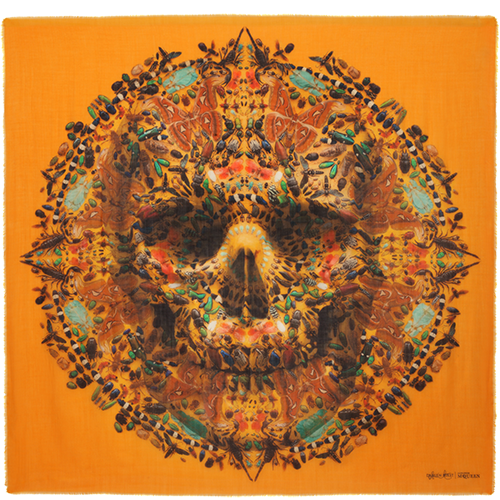 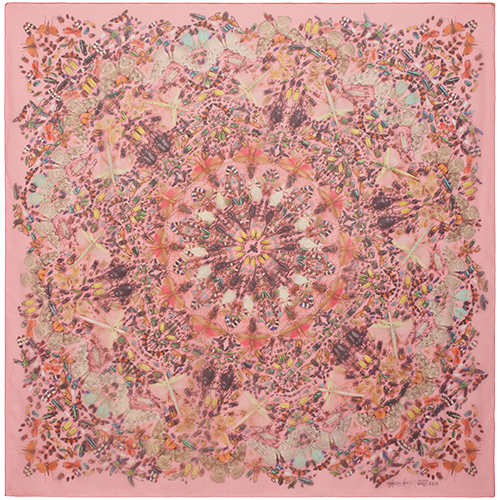 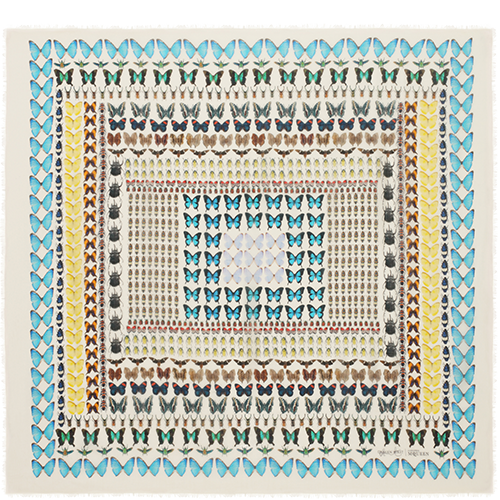 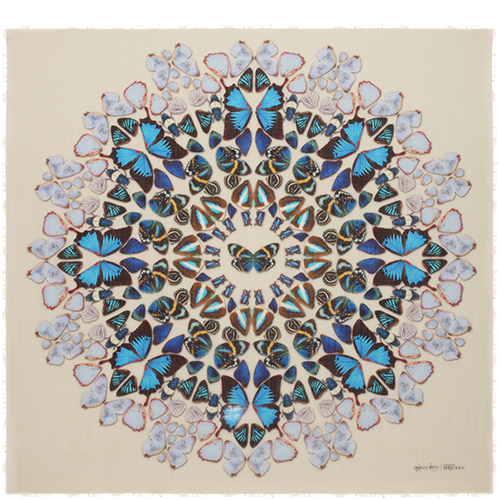 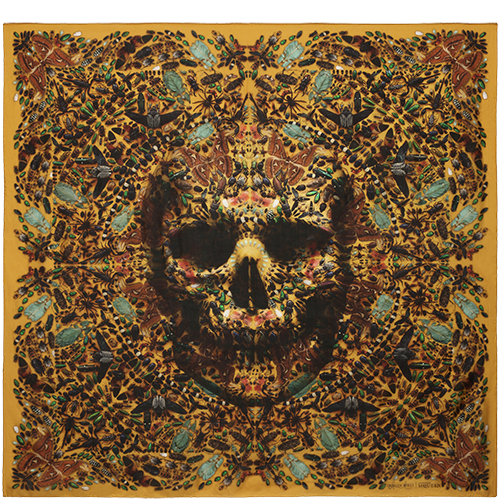 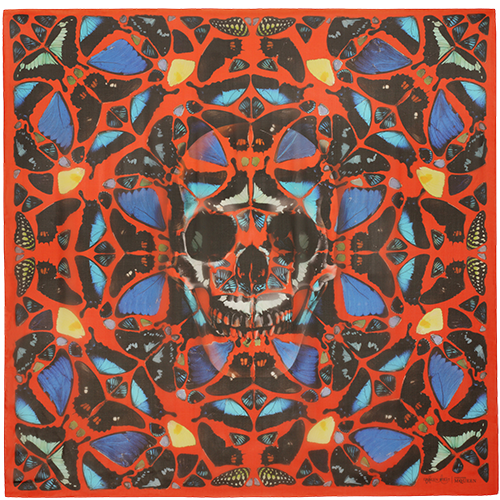 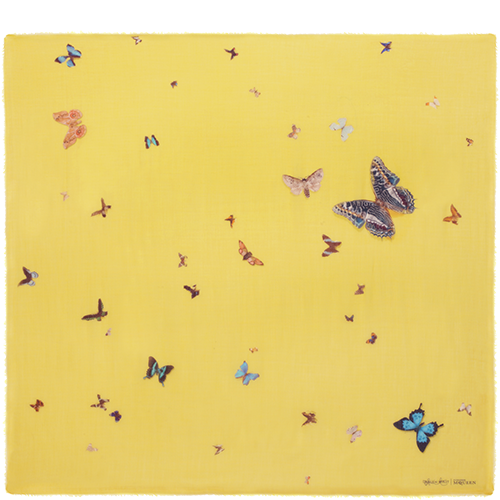 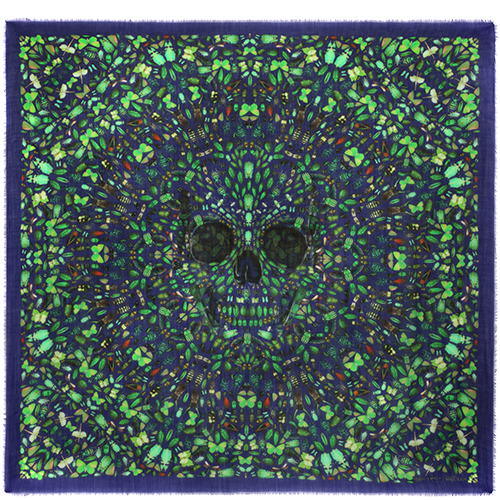 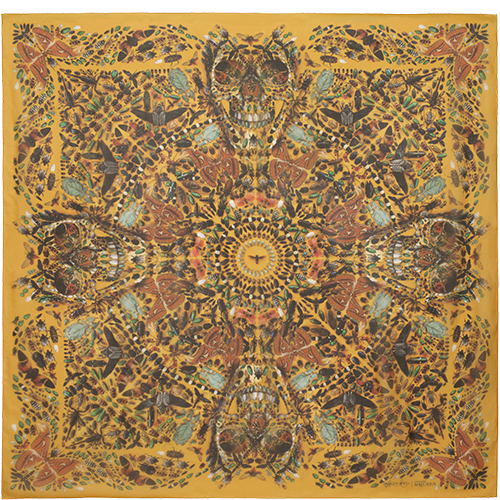 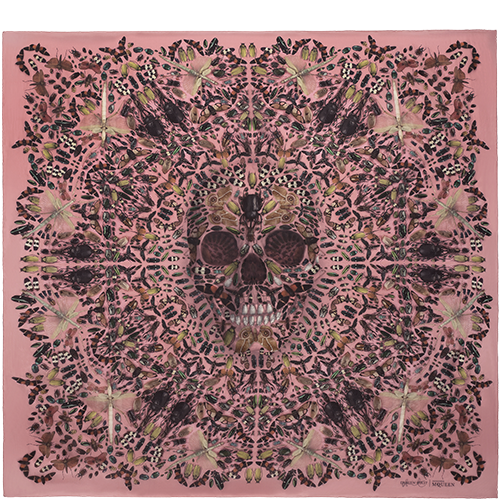 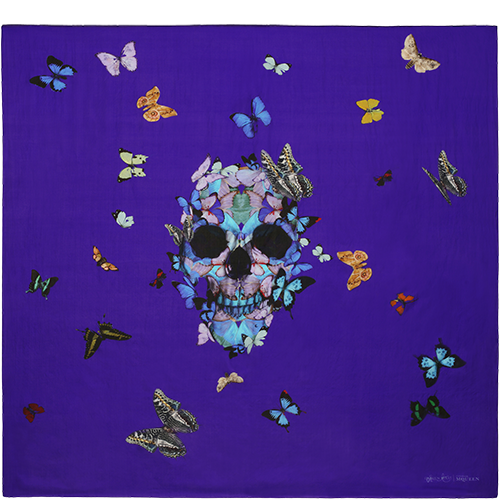 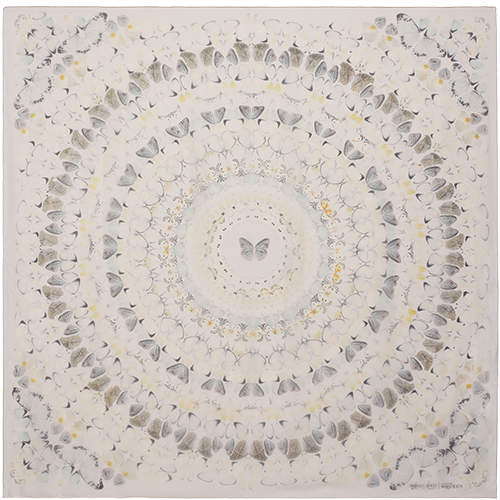 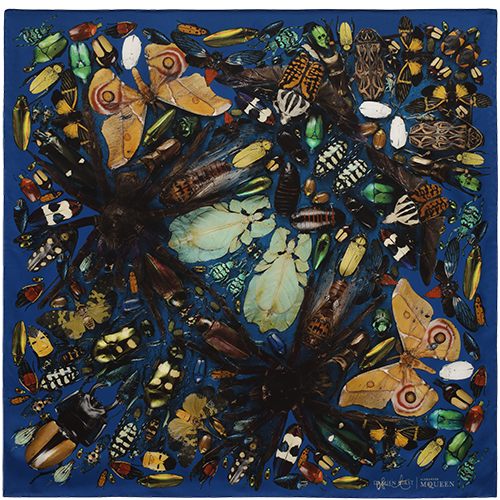 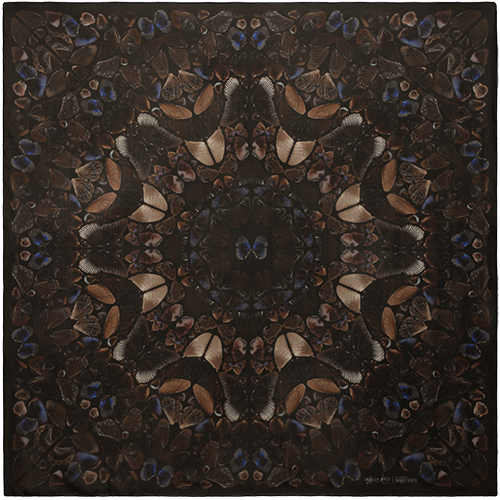 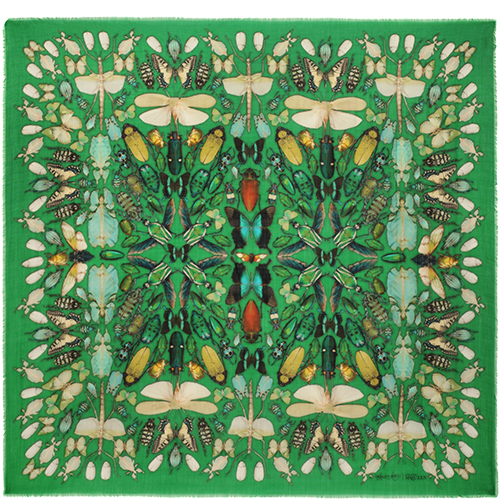 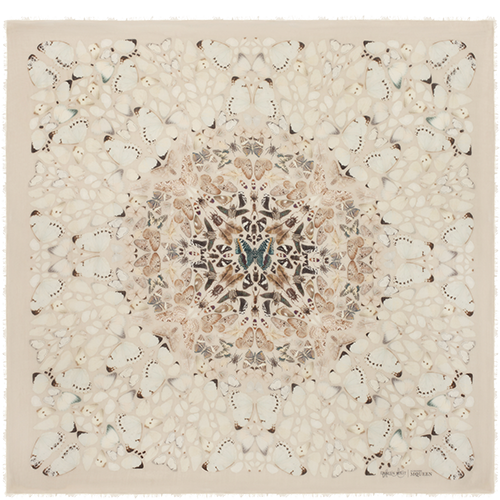 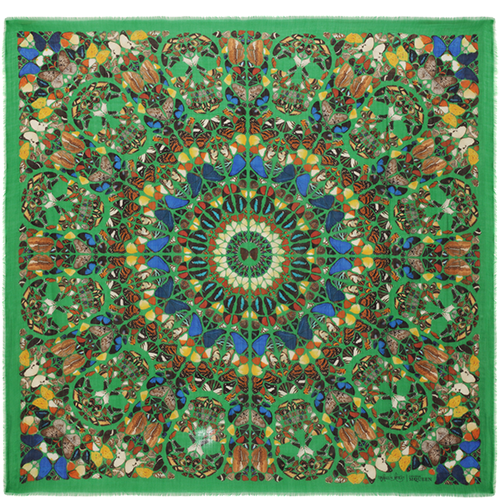 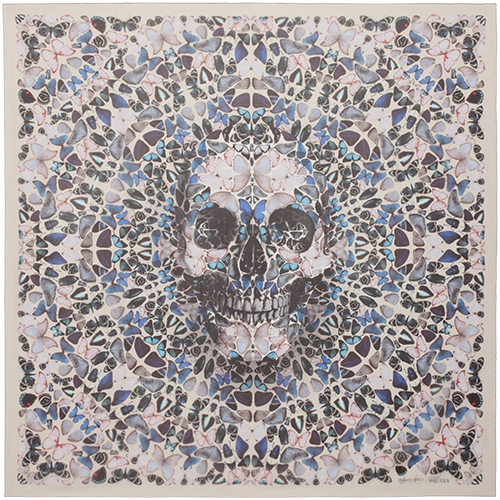 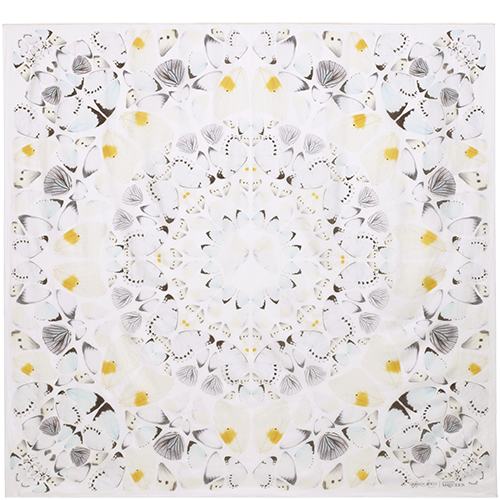 The Damien Hirst and Alexander McQueen scarf collection consists of 30 one-off designs. 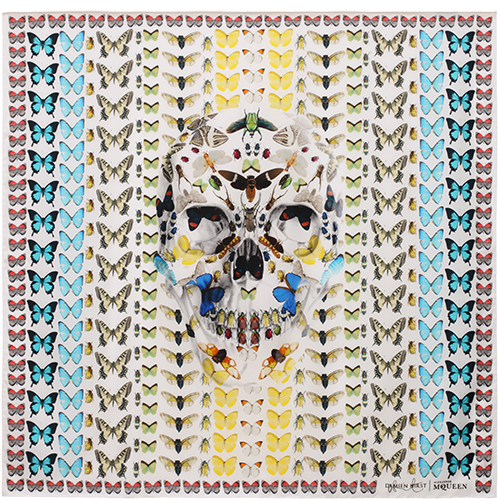 Each is adapted from Hirst’s Entomology series – butterflies, bugs, spiders and other insects have been worked to form kaleidoscopic geometric shapes, laid out to create the signature McQueen skull motif. 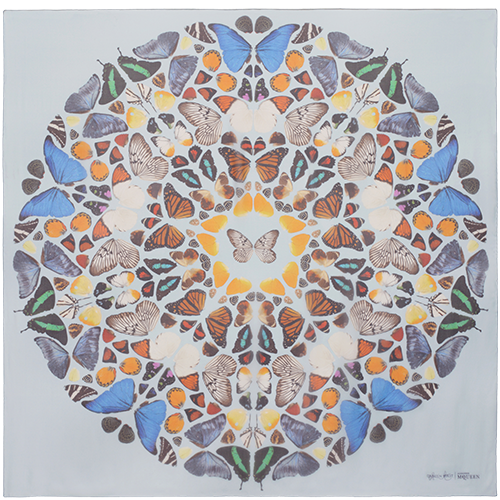 The collaboration seamlessly plays on the shared aesthetic vision of Hirst and McQueen, in which an interest in symmetrical design is combined with strong references to the natural world. 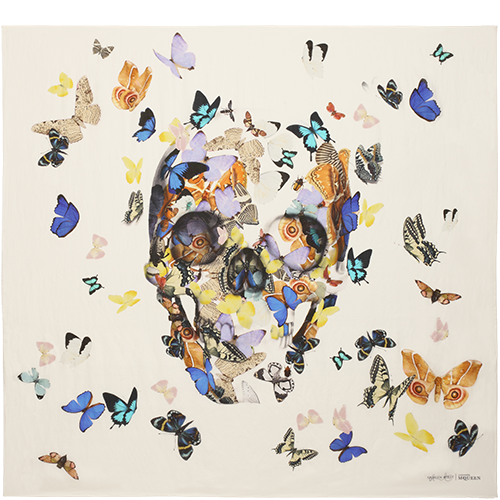 And the haunting short film created by photographer Sølve Sundsbø promoting the collection is nothing short of a work of art within its own right. 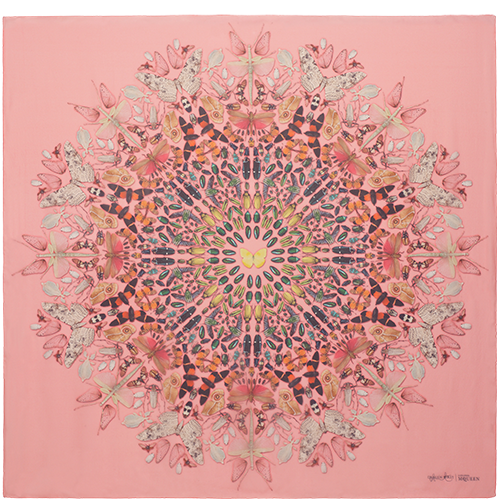 The scarves are available in Chiffon, Pongé, Twill and Cashmere with prices ranging from £315/ €340/ $515 to £715/ €785/ $1175. 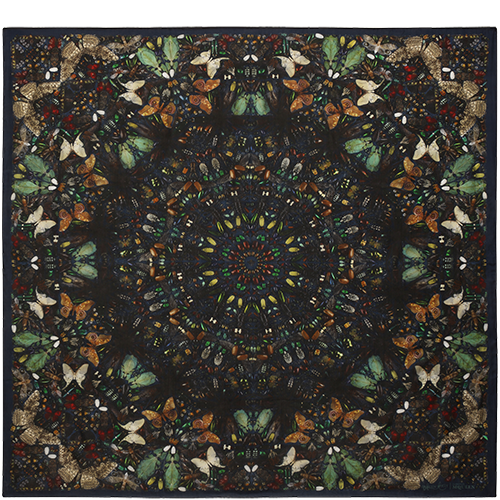 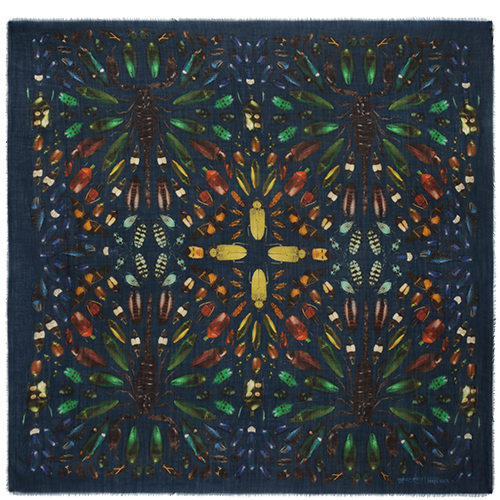 All 30 designs are limited and have been available from 15th November 2013 at Alexander McQueen stores worldwide and from the scarf boutique of www.alexandermcqueen.com.